Welcome to the 2019 academic year! ESSA Monash Clayton is proud to present our inaugural Subject Overviews booklet. The pdf of which is downloadable here. We hope this information can be of use to all our members when choosing your subjects this year, regardless of whether you are a new student, in your final year, or somewhere in between. This booklet was put together by both past and present economics students at Monash University who have taken these units and want to share their experiences. 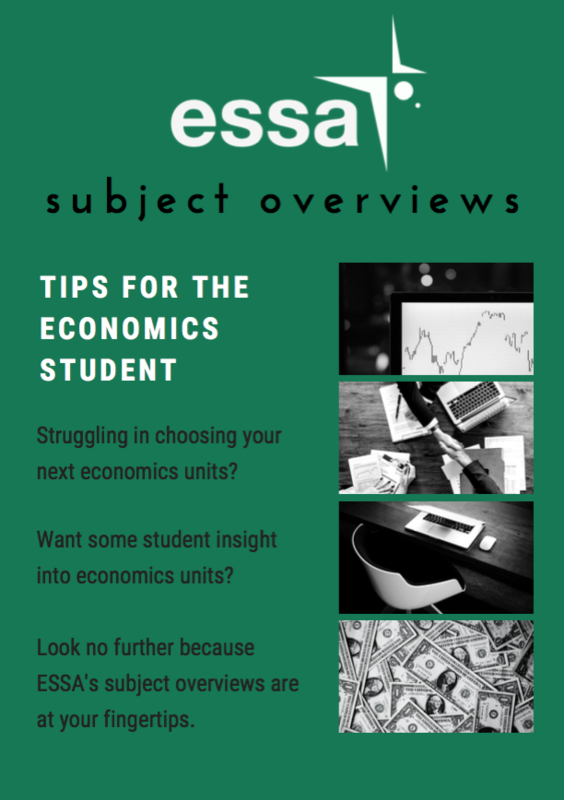 ESSA Monash Clayton hopes that this booklet will help you get a good sense of the economics major and all it has to offer – we’ve enjoyed these units and we hope you do too! We outline what topics the unit covers, when the unit is available in 2019 and tips for doing well.